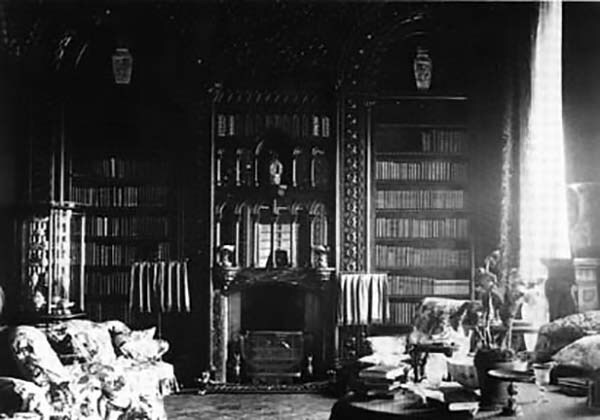 The interior he thought to be “cramped and oppressive … only the dining room, with engaged pilasters of pink Armagh marble and white plaster decoration, is effective and pleasing.” He further noted that it was “reputed to be the largest pile in Ireland”, having some 150 rooms. 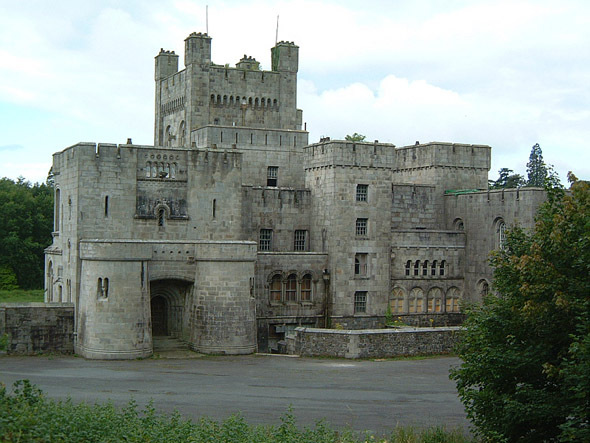 Thomas Hopper also designed Penrhyn Castle in Wales, which is in a similar style. 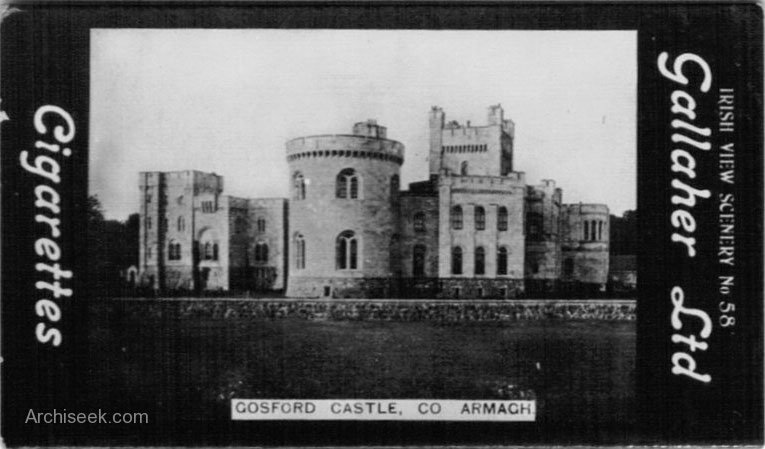 The 4th Earl of Gosford was forced to sell the contents of the castle in 1921 and during the Second World War it was commandeered and used as prisoner-of-war camp. 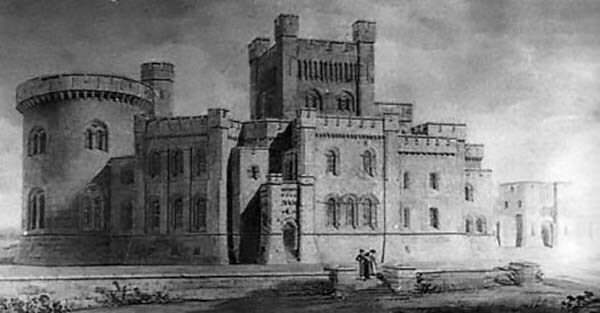 The Gosford’s, who were ennobled to the rank of Earl in 1806, sold off the entire estate after the war. The Ministry of Agriculture bought the estate in 1958, establishing Gosford Forest Park. 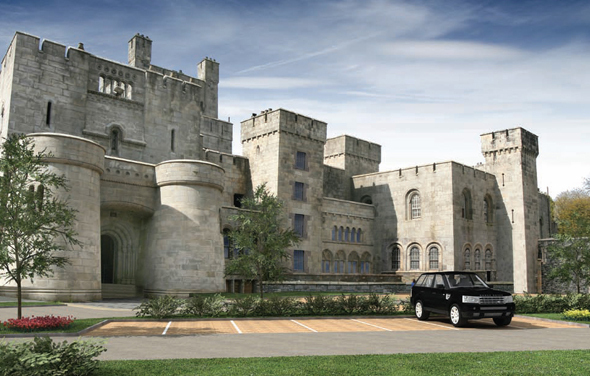 In January 2006 the decaying castle was bought by a development company, the Boyd Partnership, which planned to turn it into private homes. In January 2008 the first residents of the new apartments moved in.